Kevin Guskiewicz said he is aware of the challenges that lie ahead as he takes over as the interim chancellor at UNC – Chapel Hill. Guskiewicz was appointed on Wednesday as interim chancellor by the interim UNC System president Dr. Bill Roper and, along with Roper, addressed reporters on Thursday morning. He is succeeding Carol Folt, who resigned from the role on January 31. Folt said in mid-January that she would resign at the end of the academic year. She made that announcement while also ordering the removal of the remaining base of the Confederate monument known as Silent Sam. The UNC System Board of Governors then accelerated her resignation date to the end of January. Guskiewicz offered his thanks to Folt for her leadership of the university and said he will be on a “listening and learning” tour over the next few weeks and months. Roper made the decision to appoint Guskiewicz to the role after spending the last three weeks meeting with students, faculty, staff, trustees and other stakeholders. “The process was a learning experience for me,” Roper said Thursday, “hearing from people what they thought the next interim chancellor should embody and then learning specific recommendations about individuals. Guskiewicz is coming into the role after three years as dean of the College of Arts and Sciences at UNC – Chapel Hill. 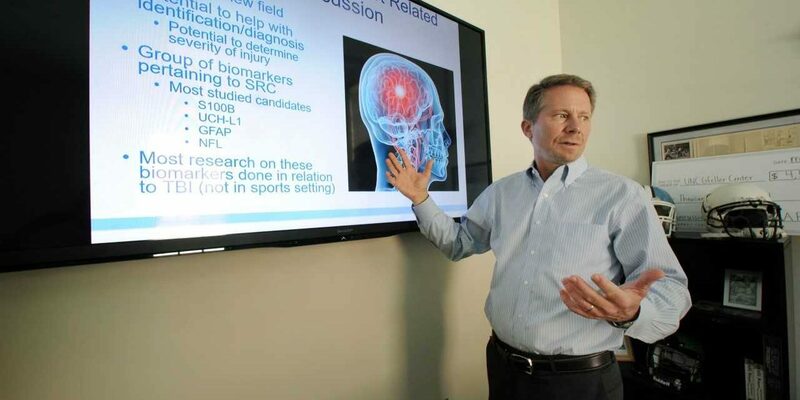 He is one of the leading concussion experts in the country. Guskiewicz said he was “focused on the task at hand” but that he hoped his work would “allow me to be a candidate” for the chancellorship on a permanent basis. But first, he said, there is work to be done guiding the university through what has been a turbulent period.